The south Pacific island nation of Niue has issued a pair of coins to commemorate the 75th anniversary appearance of the comic character, Batman. 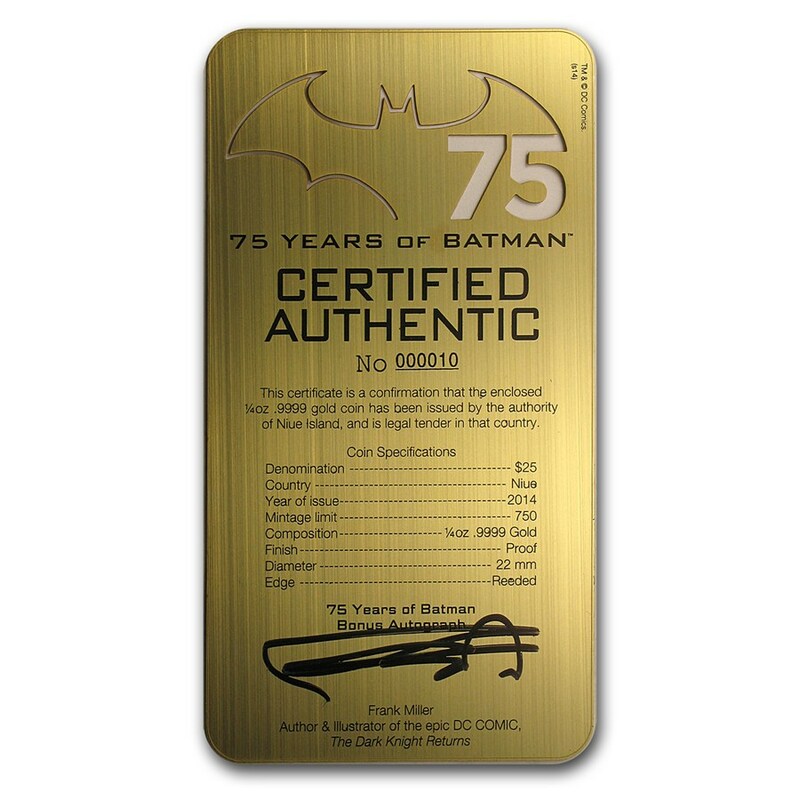 Over the years, Batman has had a few interactions with Sherlock Holmes. 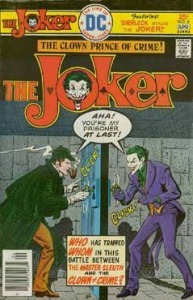 Holmes first makes an appearance in 1976 with Batman’s archenemy – the Joker, in Joker #6. 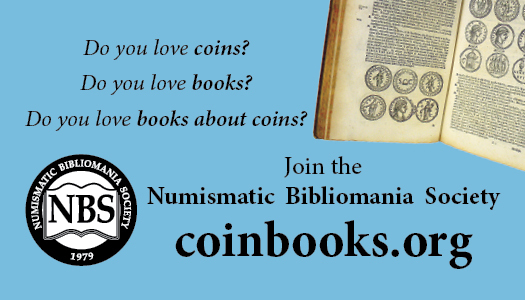 Looking at the cover, one gets an idea for the story, but it’s not what you think. After an actor portraying Sherlock Holmes receives a blow to the head, he becomes convinced that he is, in fact, the famous detective and winds up adopting his methods. 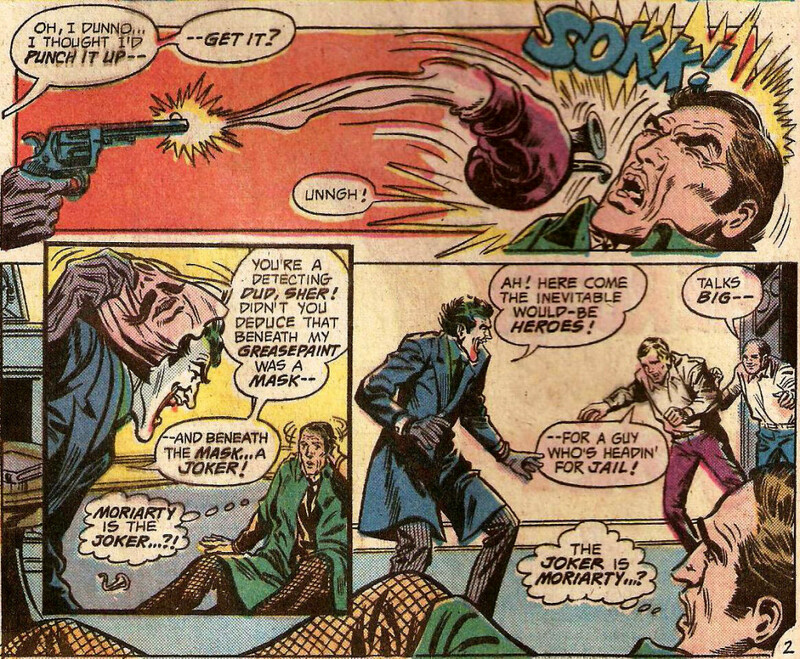 In the panels below, we see that actor portraying Holmes after he is punched by the actor portraying Professor Moriarty. That actor is actually the Joker, who would conduct crimes based on the Holmes stories. Holmes would reappear in 1978 in DC Special Series #8, Batman teamed up with Deadman and Sgt. 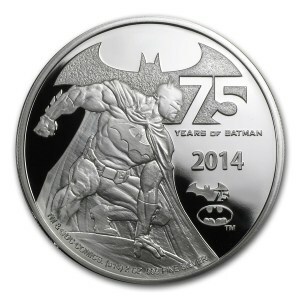 Rock to stop a bomber who was blowing areas of Gotham. 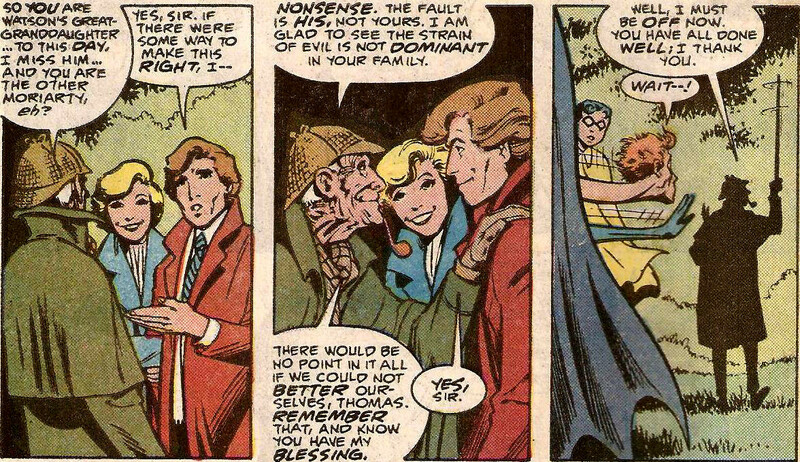 Holmes helped Deadman track down a key component of the case, in a plot twist that was confusing to say the least. 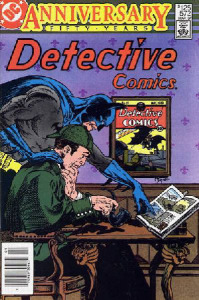 It is somewhat fitting that in 1987, the 100th anniversary of the appearance of Sherlock Holmes, he would appear in the 50th anniversary of Detective Comics, issue #572. In this issue, an ancestor of Professor Moriarty is attempting to kill the Queen of England. This then leads to a flashback of an untold Holmes case, where he, Dr. Watson and Inspector Lestrade foil Moriarty from attempting the Queen in the Victorian era. Returning to the current story, Batman foils the attempt on the modern Queen with the aid of Robin and Elongated Man. However, Moriarty’s ancestor almost escapes until he is captured by a 100+ year old Sherlock Holmes. The end of the story has Holmes meeting the great granddaughter of Watson, who is romantically involved with the great grandson of Moriarty. 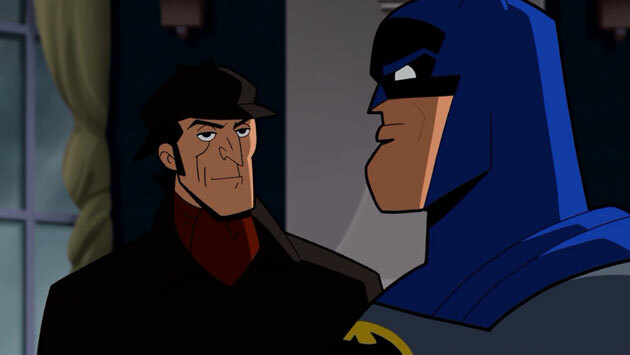 In the television comic series, Batman: The Brave and The Bold, Holmes will have his life saved by Batman in the season 1 episode, Trials of The Demon. 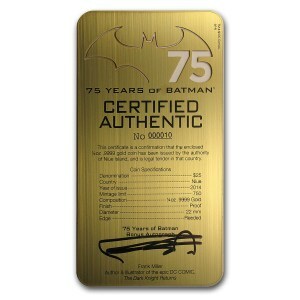 Batman was brought to Victorian London via a magic spell by Jason Blood in a story that plays off the Jack the Ripper murders. 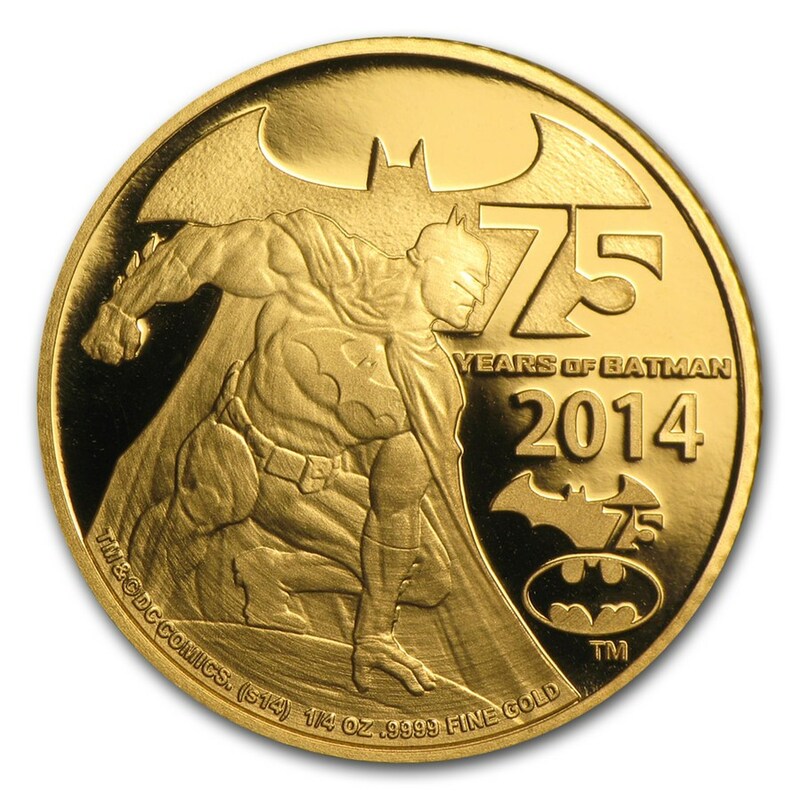 Now, on to the Batman coins issued by Niue…. The gold $25 coin contains a quarter troy ounce of .9999 gold and has a mintage of 750. The silver $5 silver coin has a mintage of 7,500 pieces and contains 2 troy ounces of .999 silver. 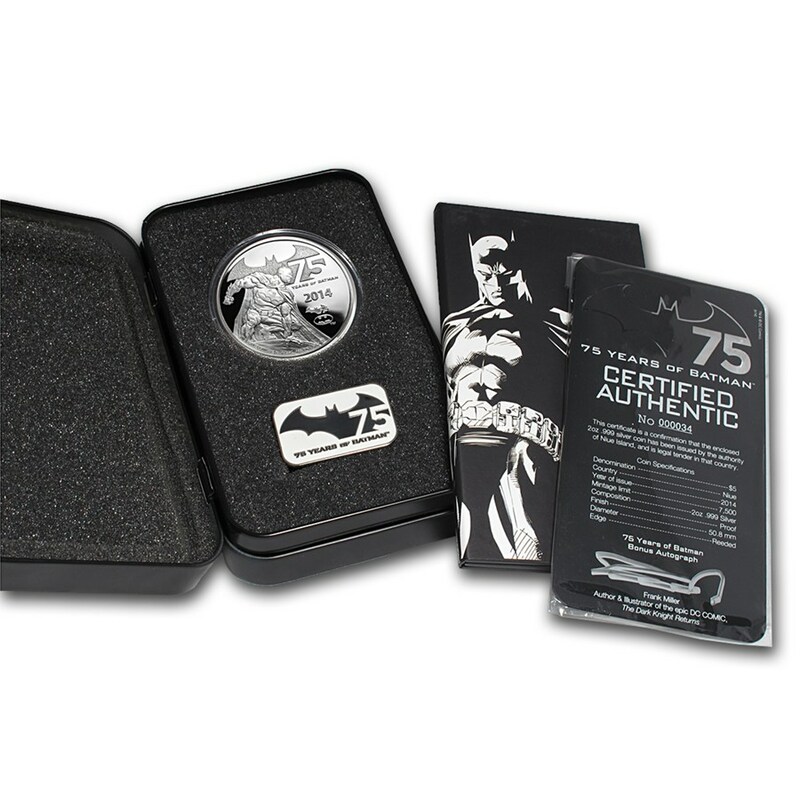 Both coins come in a presentation case and have a stainless steel certificate of authenticity. 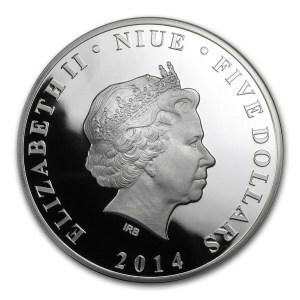 Both coins also come with a game board. 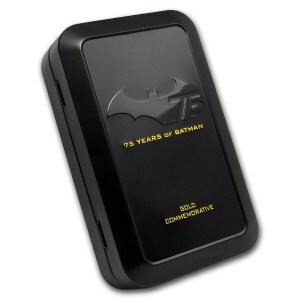 If the purchaser also downloads the 75 Years of Batman application to a smartphone, there is a 3-D multimedia experience. 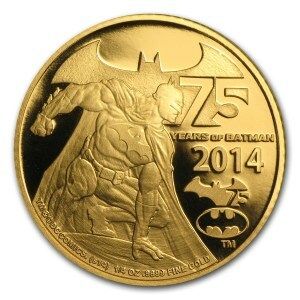 When the coin is placed on the game board and your device’s camera is over the coin, 3-D images of Batman will appear. 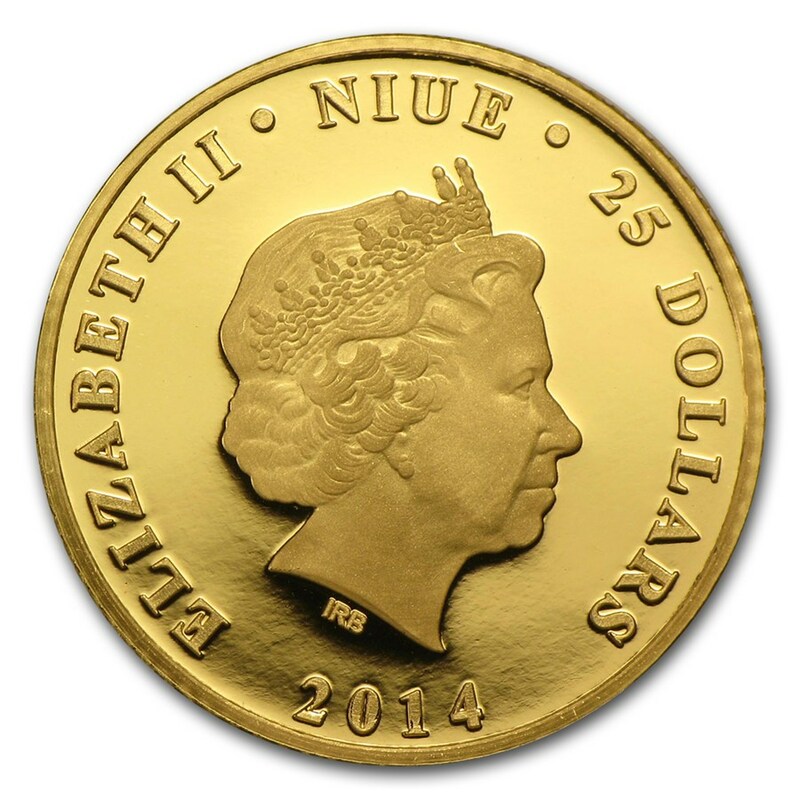 For those interested in purchasing these coins from the authorized distributor, click here.